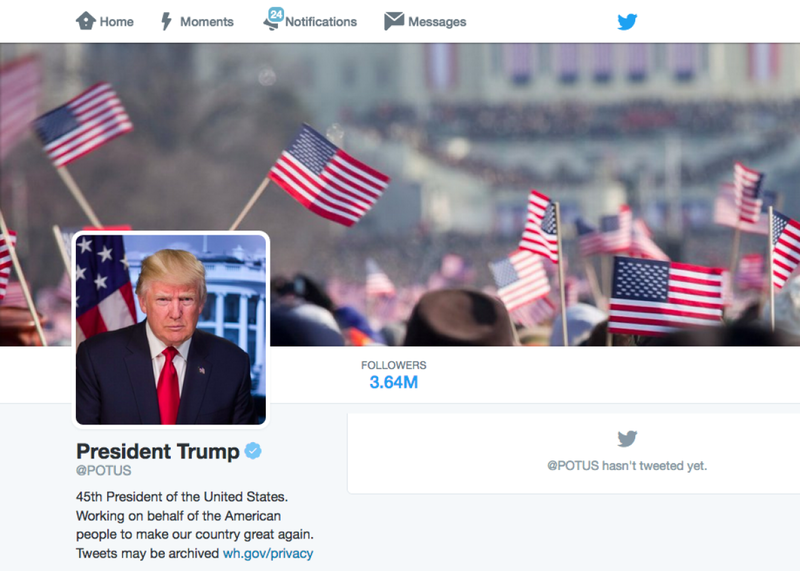 Donald Trump’s new Twitter background is a photo from the inauguration of Barack Obama. 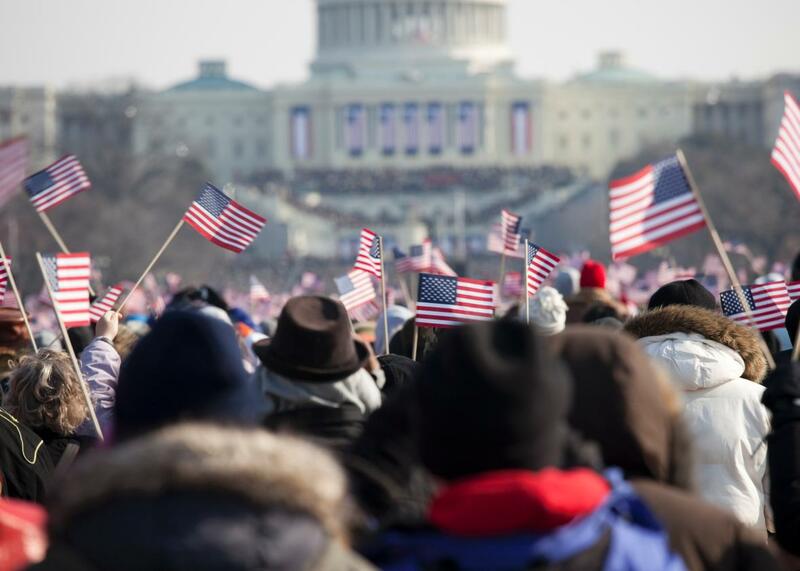 Yeah, it’s from President Obama’s inauguration in 2009. Maybe the background was Melania’s idea? 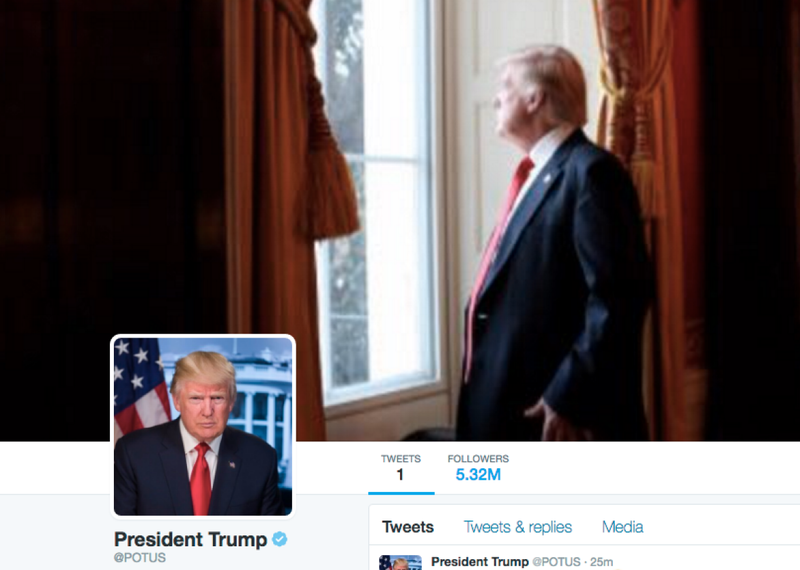 Regardless, someone on Trump’s social media team must have seen that they’d been caught, because they’ve changed the background for the second time today. At least they seem to have chosen the right flag? 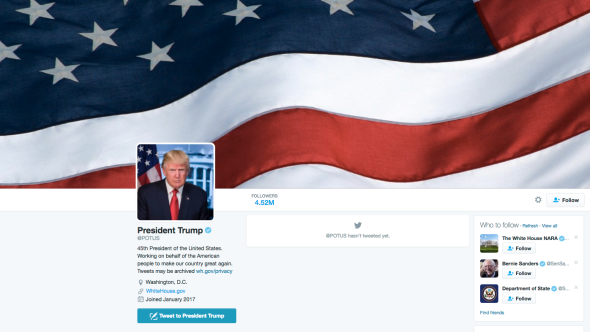 Update, 2:50 p.m.: @POTUS has changed Twitter backgrounds for the third time today, this time to a photo that is clearly a little too grainy to make an ideal header. 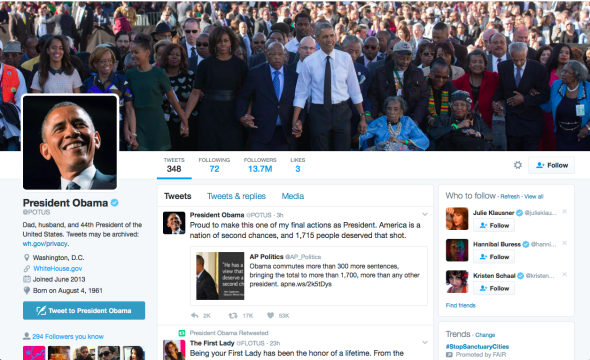 Maybe someone can tweet him a higher-resolution image?